In the food prep industry, there is often a strong need for efficient ways to remove detritus from food processing equipment. Commercial washing systems in food prep businesses process cooking equipment and/or sanitize food packaging ceaselessly. If the washing system can’t cleanly remove contaminants, the unsanitary equipment may spread certain food-borne illnesses—such as E. coli, salmonella, and norovirus. So, it’s important that the commercial dish racks used in the washing system do not inhibit the machine’s function in any way, shape, or form. Custom wire baskets are a perfect fit for this task because they have a large amount of open space—keeping the basket from inhibiting aqueous wash processes. However, it’s also important for the basket to keep the items it holds in place while also being easy to load and unload. The idea is to make the commercial dish rack in a way that improves productivity and eliminates bottlenecks in the washing process. Additionally, custom wire baskets for washing processes need to be resistant to corrosion from near-constant exposure to water and cleaning chemicals. Otherwise, the baskets would need to be replaced too frequently—driving up their total cost of ownership. So, when a food manufacturer reached out to Marlin for a stackable wire basket design to use as a commercial dish rack, Marlin’s engineering team knew to approach the challenge with the same level of dedication and effort that they use when building a basket for processing jet engine turbines. In addition to the normal requirements for a food industry parts washing basket listed above, the client wanted a custom wire basket design that used dividers to separate the food processing equipment the basket would hold. This way, the equipment wouldn’t get scratched up during the washing process. Additionally, the client wanted to use a polymer basket coating to further protect their food processing equipment from getting chipped or scratched. Another requirement that the client had for this basket design was that the baskets should be stackable while fully loaded. This way, the client could save floor space while keeping the contents of the stackable wire baskets safe. Because the parts being processed had a definite shape and size, Marlin’s engineering team was able to create a stackable wire basket with plentiful open space. The gaps between the wires were several inches across—this would prove useful for allowing the hot water and detergent from the washing cycle to reach the equipment being washed. So much open space also helped to increase air flow to speed along the drying process. One of the bigger challenges in creating the basket was selecting the right polymer coating for the task. The challenge was picking the polymer with the right combination of chemical and temperature resistance, softness, and long-term durability. If the material was too soft, it could transfer onto the parts the basket would hold—wearing thin over time and possibly being transferred to the food being processed by the equipment afterwards. If the coating was too hard, then it wouldn’t do as good of a job protecting the parts from getting scratched. Thankfully, the client’s parts cleaning process wasn’t too temperature-intensive. Temperatures would max out at 140 degrees Fahrenheit—which is below the melting point of many industrial-use polymers. Instead, the client’s wash process relied on the chemicals they used to sterilize the surface of the equipment. This meant that Marlin’s engineers were able to prioritize their choice of coating based on what was most resistant to the chemicals involved instead of the coating’s temperature tolerance. A thick, semi-soft coating such as polyvinylidene fluoride (PVDF) would be ideal, since it can withstand temperatures up to 280 degrees Fahrenheit, is somewhat soft, and is able to withstand a variety of chemicals (including acids, bases, and organic solvents). To speed up the design process, Marlin’s engineers tested the custom wire basket design using finite element analysis (FEA) software. This virtual physics software broke down the design of the basket into thousands of unique (i.e. “finite”) elements and simulated the effects of near-constant exposure to the client’s wash process for years of use. If the basket would warp so much as a human hair’s width or corrode, the design was rejected and pushed back to the engineering team—complete with a report detailing the cause of the failure. Using the failure report, the design team could rework the basket design immediately—correcting the issue that caused the failure. The reworked design would then be put through more FEA testing, and the process would repeat until there was a final design that wouldn’t fail. With traditional physical prototyping, this process would take months, instead, the testing and reworking was completed in mere hours. This shaved entire months off the production time for the basket. Once completed, the design was forwarded to the manufacturing team, who set up the manufacturing robots that would assemble the stackable wire baskets for the client. Marlin’s factory automation was able to complete in hours what would have taken a team of manual laborers days to replicate—and with far greater consistency so there would be no rejections. 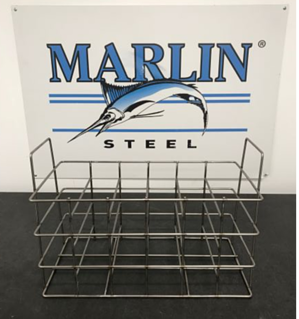 The end result was that Marlin was able to deliver a high-quality custom stackable wire basket with dividers to the client in a fraction of the time it would have taken an overseas competitor using cheap manual labor. 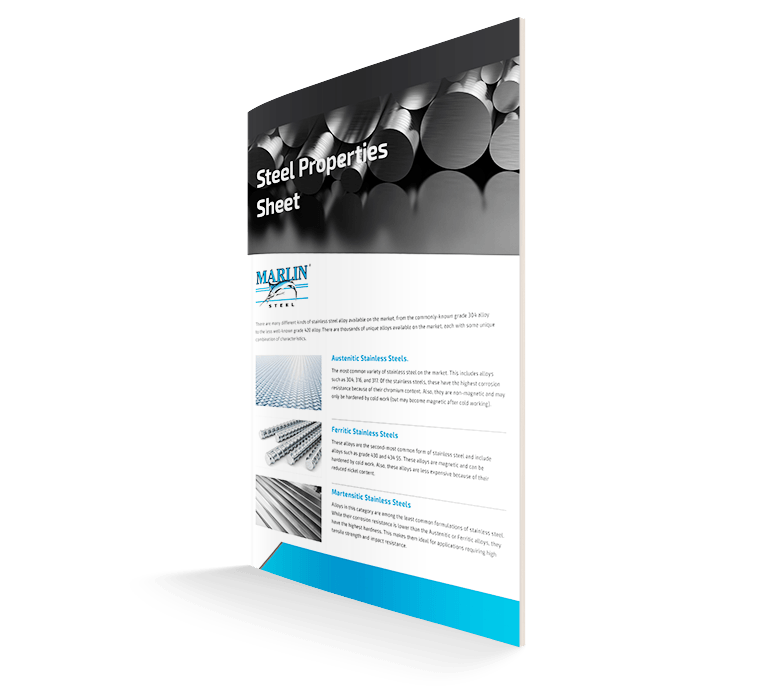 Need a custom wire basket as soon as possible to avoid delays in your own production process? Contact the experts of delivering “Quality, Engineered Quick®” at Marlin today!